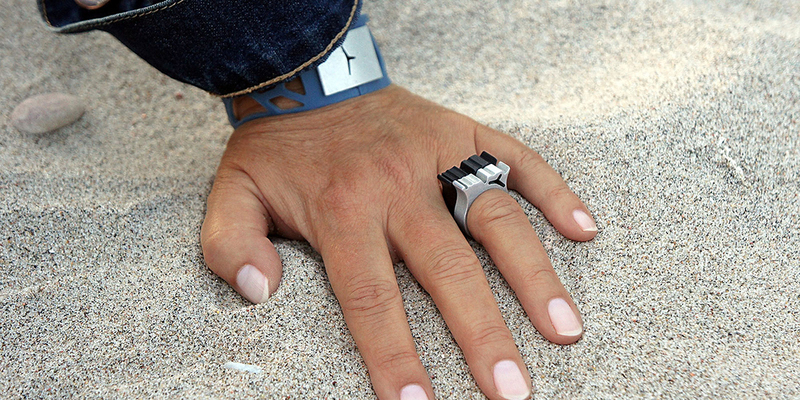 where jewelry has become like worn denim jeans. 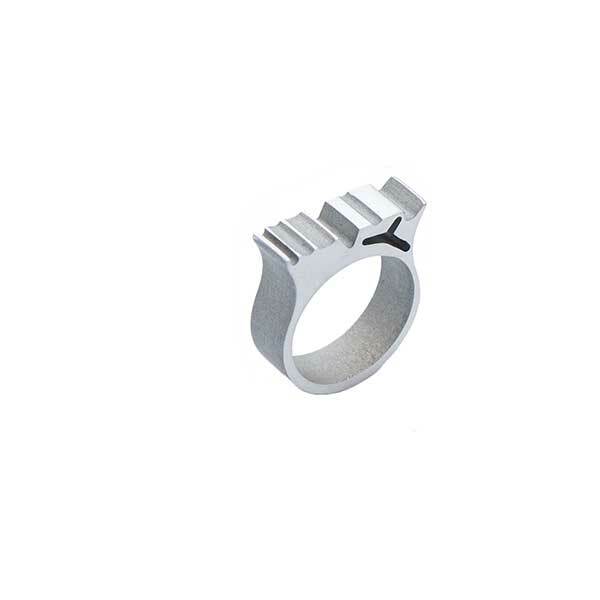 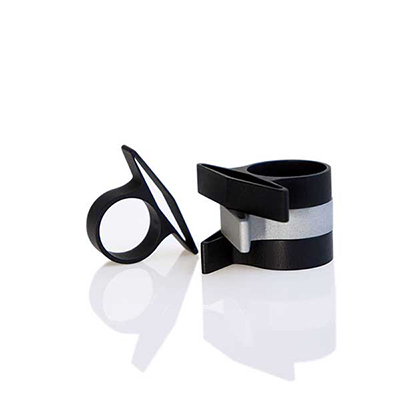 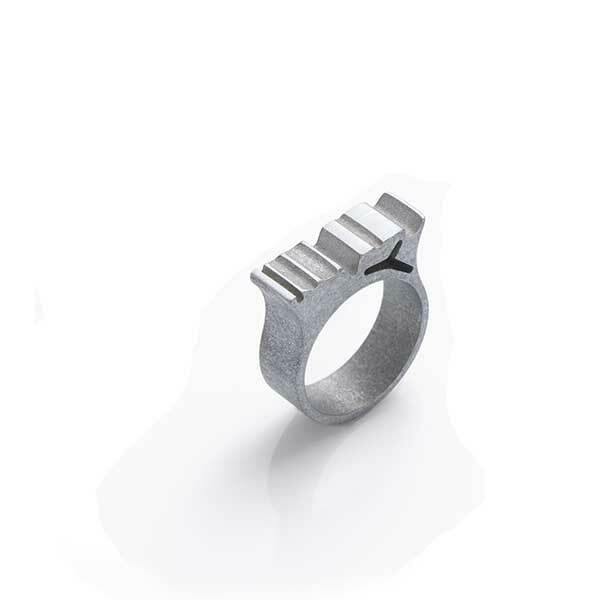 Ring R2 fashion jewelry with Raw style with polished top and sides. 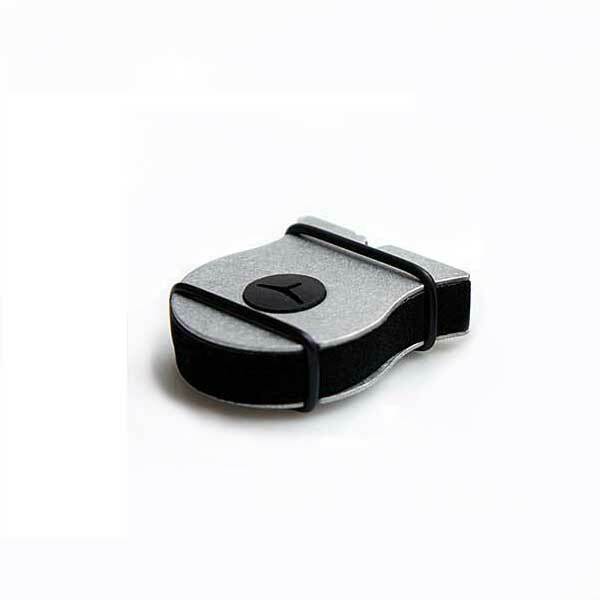 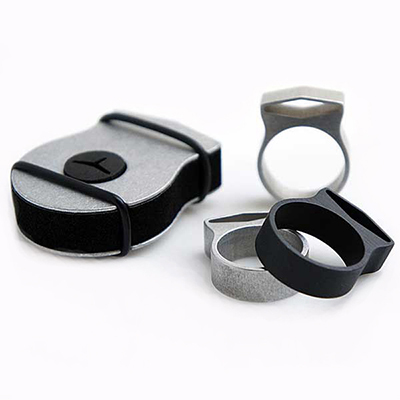 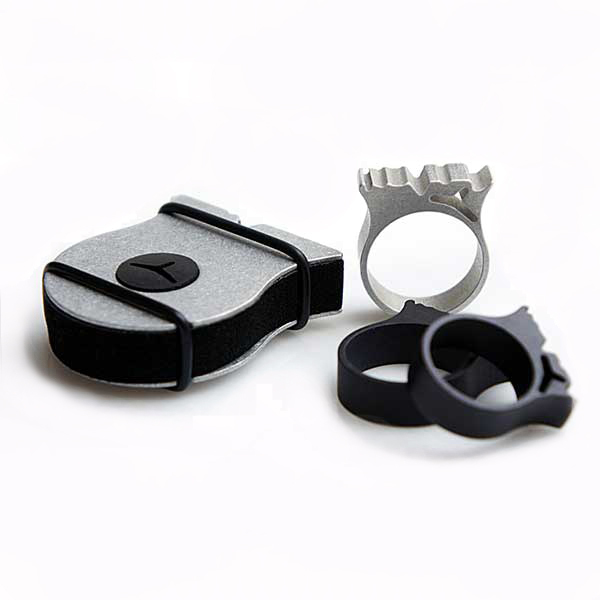 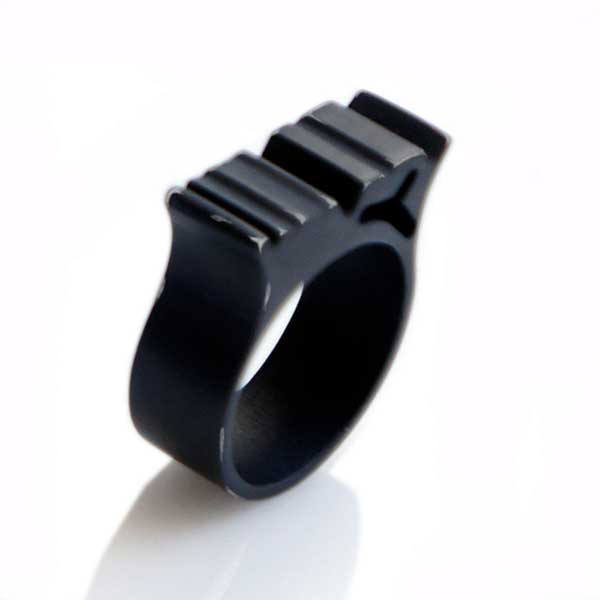 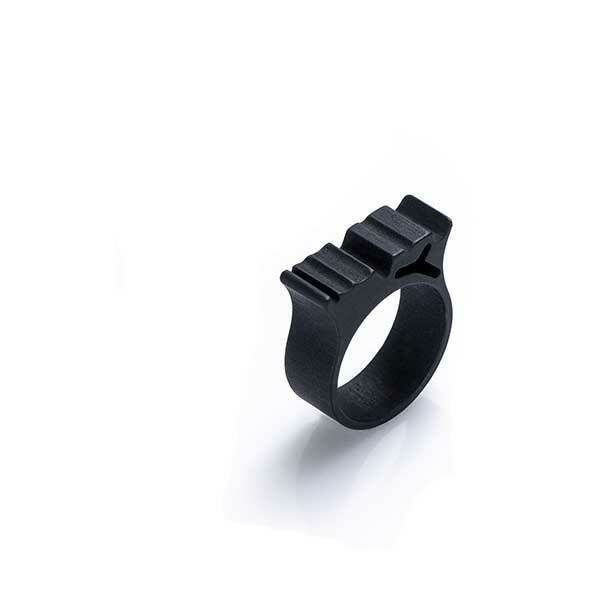 R2 ring is available as raw aluminum and gunmetal black and polished design. 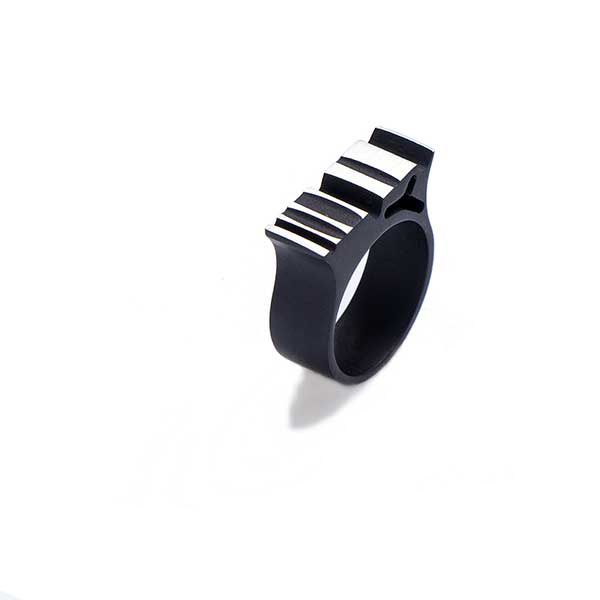 exclusiv look, where the simplicity speak for it´s self. Also great to combine with a second 6 mm ring in raw finish. 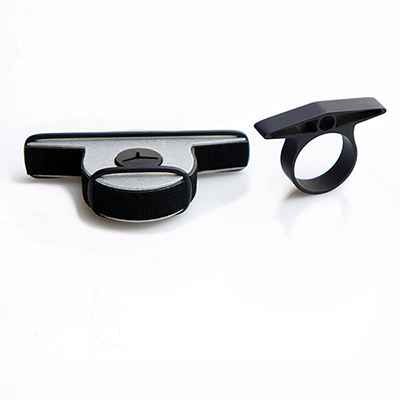 Finishing: Raw stone ground, with polished WORN style.